The world is flooded with novels about secret messages or hidden texts. They all pretend to reveal the ultimate truth of Jesus. 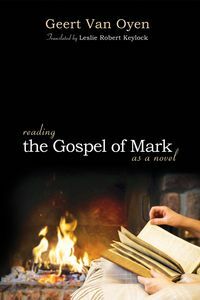 In this book, Geert Van Oyen goes back to the oldest gospel and explores its story as a challenging and revolutionary message for any reader. By employing a narrative critical approach Van Oyen demonstrates how the narrator accompanies readers in their quest for the identity of the protagonist Jesus. Along the way readers will discover that faith in Jesus is not a matter of theoretical truth but of practical experience. Who can remain indifferent when they hear the paradox at the heart of the gospel: "Whoever wishes to become great among you must be your servant, and whoever wishes to be first among you must be slave of all"?